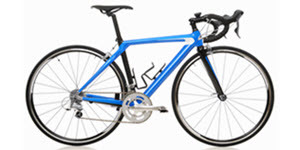 Bike shipping within Australia or overseas, PACK & SEND can get assist you with your needs. PACK & SEND can make custom freight containers for a bike of any size! Don’t be put off by the thought of a difficult packing process. The PACK & SEND team can package the most difficult of items to be sent anywhere in the world. Road bikes are precious and expensive; our international and domestic bike shipping will ensure you get your goods from A to B safely. If something were to go wrong, the Freight Plus Warranty can reimburse you up to market value. PACK & SEND provide a safe service at great low prices. Even if you just need to send a bike frame or wheel, we aim to get you the lowest price possible. Visit your local Service Centre, call us on 1300 668 000 or get a quote online today.